More than a hundred triathletes, 6 to 14 years old, are expected to show up at the starting lines at the Shangri-La Mactan Resort on August 5, hopefully surpassing the record number of 95 participants set last year at the CamSur Watersports Complex (CWC) in Pili, Camarines Sur. With their parents and family in tow to cheer for them, the event promises to be a family affair to remember. Expected to defend their titles are frontrunners and early race favorites Tara Borlain and Eric Almendral, last year’s winners in the 6-8 y/o cataegory; Sophia Marie Vizcarra and Lance Vincent Plaza, winners of the 11-12 y/o category; and Magali Echauz and Justine Kyle Mapalo, winners of the 13-14 y/o category. Those interested can still join. Just log on to www.ironkidsphil.com. Registration is ongoing. Alaska IronKids is the junior counterpart of the world-renowned triathlon event IronMan where kids 6 to 14 years old race through three sporting events: Swimming, Biking and Running. The race is divided into four age categories: 6-8 years old, 9-10 y/o, 11-12 y/o and 13-14 y/o. It is open to kids who are new to the sport as well as those who have already competed in other triathlon events. 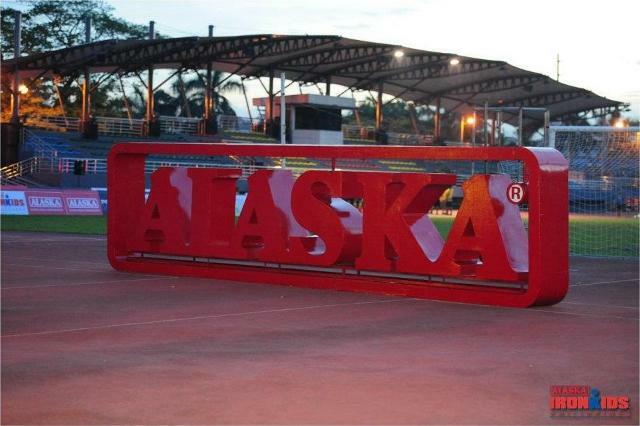 A year-long sporting event, Alaska IronKids has so far completed three legs this year— two marathons, held at University of Makati and Mall of Asia and an aquathlon, held at the Palms Country Club. Another triathlon is scheduled on October 23 at Pico de Loro, Batangas). Since its inception in 2010, Alaska IronKids has become a symbol for active and healthy lifestyle among kids. Its successful races have encouraged kids to take care of their bodies through exercise and proper nutrition and have instilled in them commitment and discipline, all of which are advocacies of the Alaska Milk Corporation. In addition, Alaska IronKids has also become a venue where families can bond and support each other.